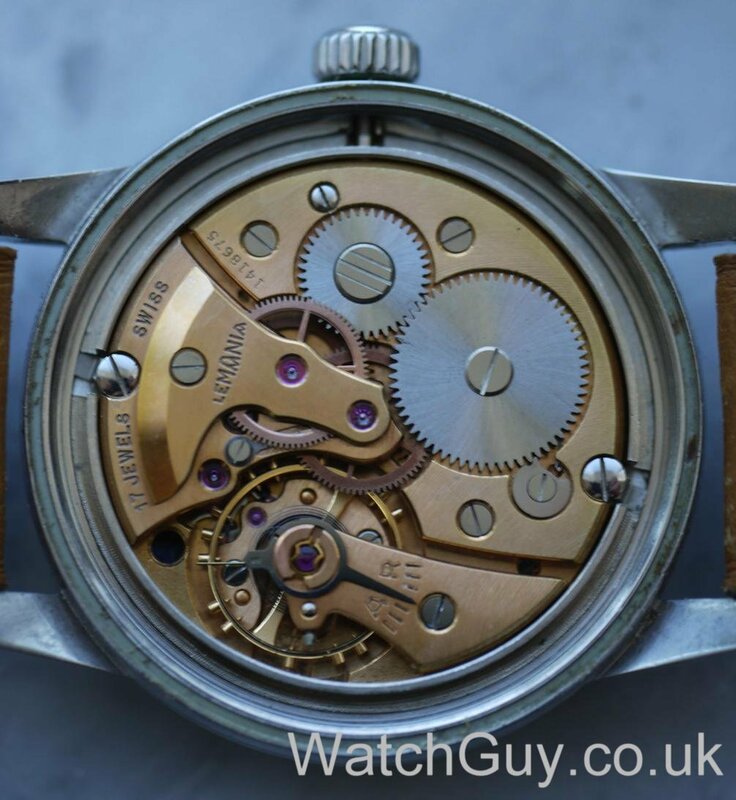 Most people having a vague interest in vintage watches are aware of the Omega caliber 321. 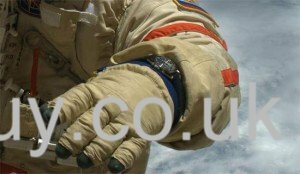 The (possibly) only caliber watch that has been worn on the moon. 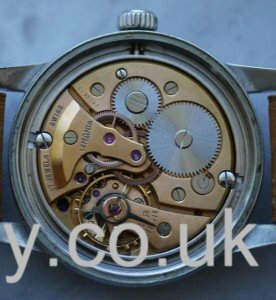 What many fail to notice is that the caliber 321 actually shares a family history with a range of other movements as well. Manual moon phase / triple date complication. Manual triple date complication without moon phase. Manual 3 hand movements with and without small seconds and with a date option. Automatic (!) movements with the same options as the manual ones listed above. 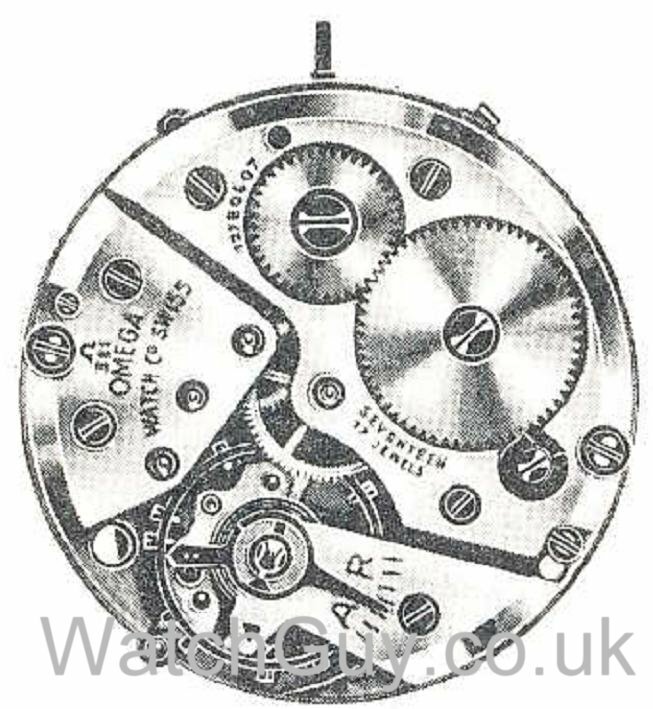 The story most have read in one form or the other is how Omega started using the caliber 321, at the time known as 27CHRO C12, for their chronographs in the mid 1940s. To cut a long, and well documented, story short; the 321 ended up in the NASA Apollo program inside the standard issue astronaut wristwatch, in the form of the mighty Speedmaster. 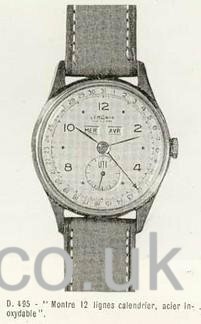 The development of the 27CHRO C12 movement was conducted by Albert Piguet from Lemania. After the great depression in the late 1920´s and early 1930´s the Swiss watch industry was going through their worst crisis prior to the Quartz onslaught of the 1970´s. So in 1930 Omega and Tissot joined together under a common umbrella called SSIH (Société Suisse pour l’Industrie Horlogère). 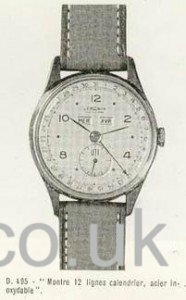 Lemania was at the time known as a relatively small volume, but high quality, manufacturer of complicated watches like chronographs. 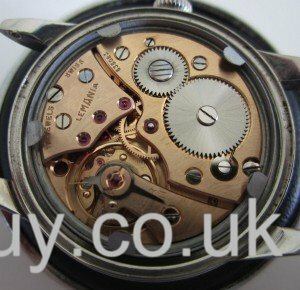 These where both wristwatches as is our focus here, but also various timekeepers for military, aviation and automotive purposes. As times grew even harsher, Lemania decided to join Omega and Tissot in SSHI in 1932. The deal was that Lemania would get fresh capital and access to a wider and stronger sales organisation, and the other brands within SSHI would get access to the technically advanced movements made by Lemania. Mr. Marius Meylan, CEO of Lemania, was granted a seat at the board of SSHI at the time of merger, and Omega suddenly had access to top grade chronographs, allowing them to become the official supplier to the 1932 Los Angeles Olympics. Omega has been the official Olympic timekeepers ever since! Within SSHI at this time Omega was the luxury brand, Tissot the budget alternative and Lemania the technically advanced “tool watch” supplier. This story lead us back to the development of the caliber 321: Lemania started the manufacturing of the CH27 as early as in 1941. In 1942 the first Omega version was shown as the 27CHRO (later named 320 and 321). Omega themselves states the movements as having been designed and built by Lemania so little room for discussion here. The 320/321/CH27 was manufactured for the next 25+ years. Outside of SSHI various versions of the chronograph movements was used by other companies. 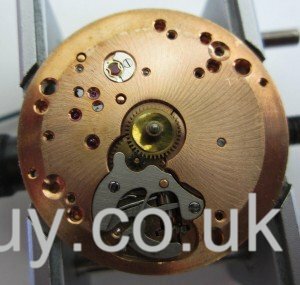 Even Patek Philippe, Audmars Piguet and others have used the Lemania CH27 as basis for some of their finest chronograph movements. 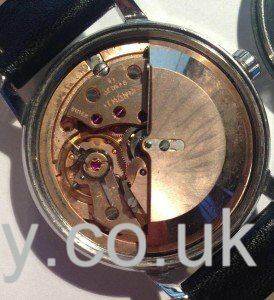 Breguet has a version for sale with a Tourbillion escapement as well for those of you with really deep pockets. 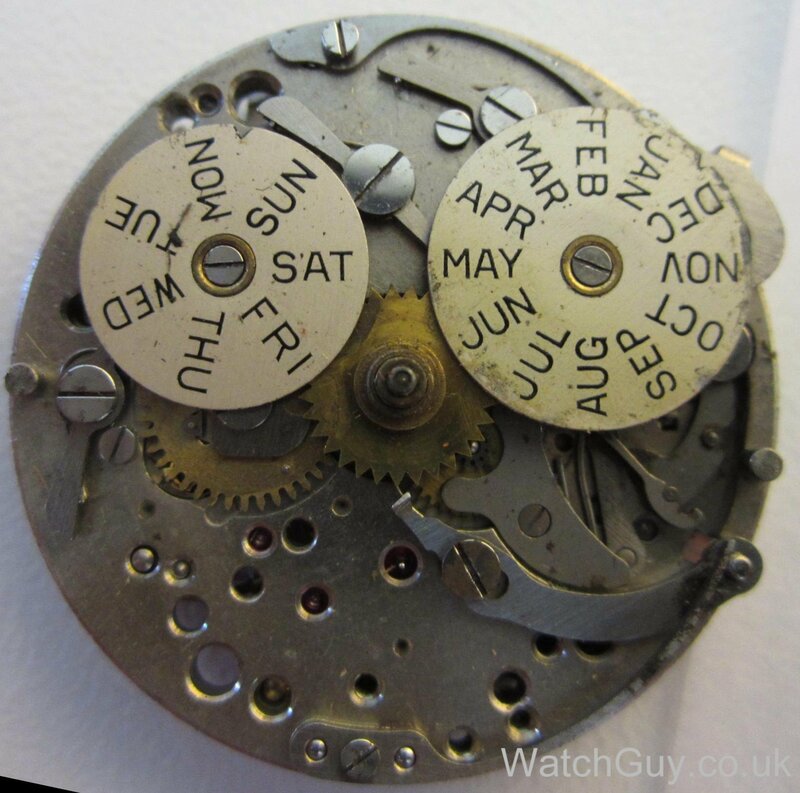 In order to make a definitive connection between the 321, and my claim to other related movements, I would like to draw the attention to another complicated movement introduced in 1947, the Omega 381 (27DL) Cosmic moon phase triple calendar. 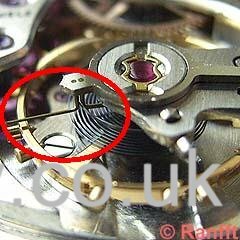 Omega confirms in “Omega Saga” that the 381 was quote:“constructed by Albert Piguet in Lemania, being derived from the 27CHRO”. Now, comparing the two (321 vs 381) will reveal a lot of differences. I am not claiming that these movements are identical. But according to statements by Omega themselves, and by comparing several of the special design features, it will become evident that these are indeed related movements. 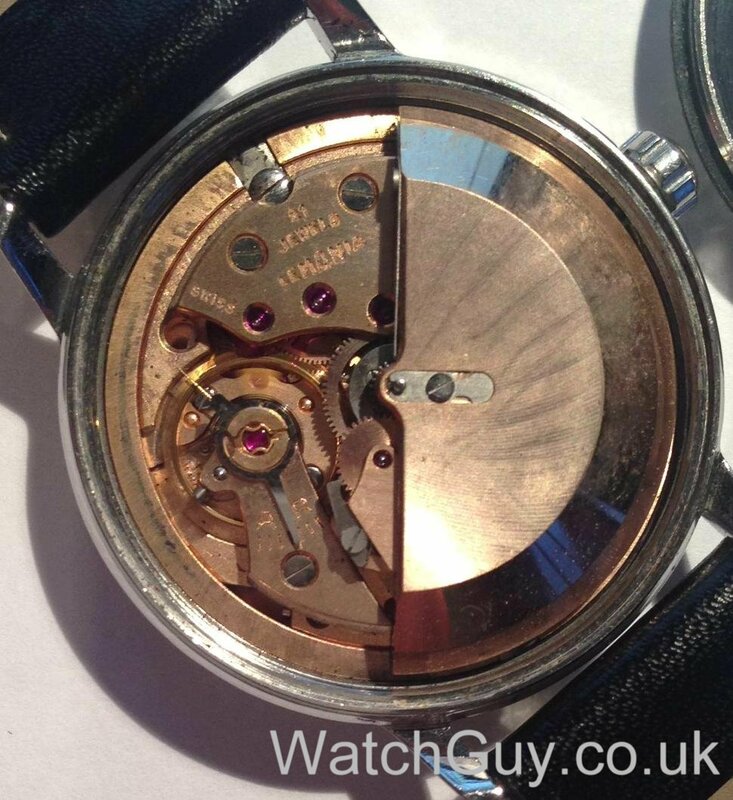 I have found little information on this special design feature, but I have not seen this on any other movements than the Lemania 27 movement family except for some Czech made clones (PRIM). A 1958 Lemania catalogue I own names this as an “anti catch device” for the Breguet hairspring. In Omegas official list of calibers they also list caliber 380 (27D) as a non-commercialized version of the 381. The designation D compared to DL of the 381 denotes the absence of the Lunar (moon phase) dial. As was the rule within SSHI, Lemania was allowed to market and sell their own movements also under their own name (and by Tissot). 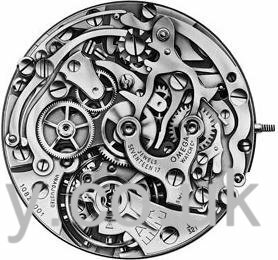 To my knowledge there was never a Lemania moon phase caliber (DL27) based on the 27CHRO, however you will find a Lemania version of what would have been the Omega caliber 380 in Christians service blog. The movement has no designation printed in the usual places. The number on the bridge is a serial number (and may denote a pre-production or prototype series being only 4-digit). I will anyway take the liberty to denote it as a Lemania “D27” caliber in this article. Comparing the movements from both sides there is no doubt that these are the same designs with the exception of the moon phase disc (381 vs. Lemania D27). The baseplate even has the holes pre-drilled to allow for the moon phase components. The lettering BOL on the balance bridge is by the way initials used by Lemania to identify movements made by them. Most (all?) 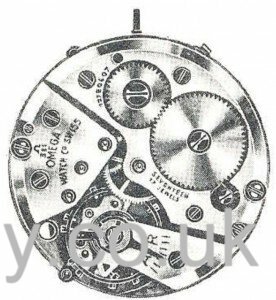 Swiss watchmakers had a 3 letter ID they used before the industry switched to graphical symbols. So far we then have a 321 chronograph being related to a triple calendar movement, with and without a moon phase complication, sold by Omega and also Lemania. Lemania produced a range of high quality regular 3 hand watches throughout the 1950s and 1960s. Many (most?) of these contains a variant of the Lemania caliber 30xx (manual versions) and 36xx (automatic). Under you will find pictures showing these movements. Please compare the design to the Lemania D27/Omega 381. They are all, except some very minor component modifications, almost identical except for the moonphase and calendar functions. During the service that Christian undertook on my Lemania D27 one of the problems was a broken pallet fork. A Lemania caliber 3000 was a perfect donor! 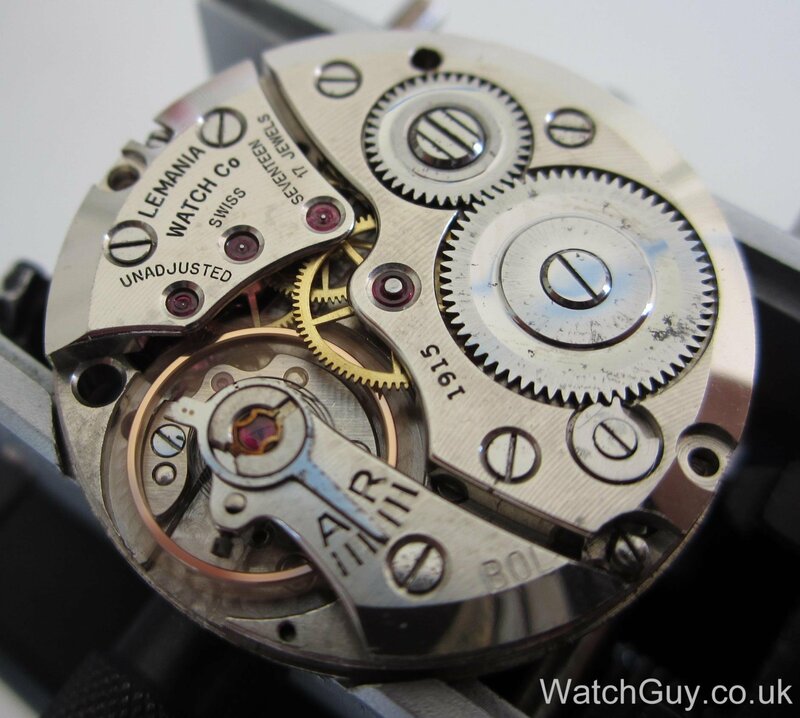 Lemania 3615 – Automatic, small seconds and date. 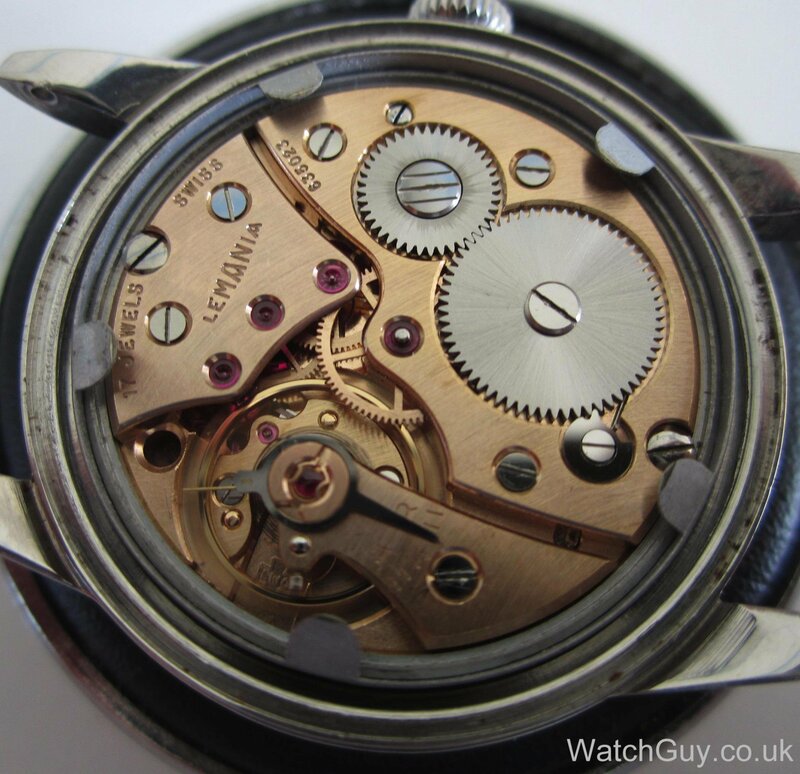 The robust quality of the “regular” Lemania 27 (3000 series) movement may be indicated by the extended use of these in military watches from the 1950s and onwards. With the addition of a autowinder module the hand-wound caliber evolved into the caliber 3600 series. 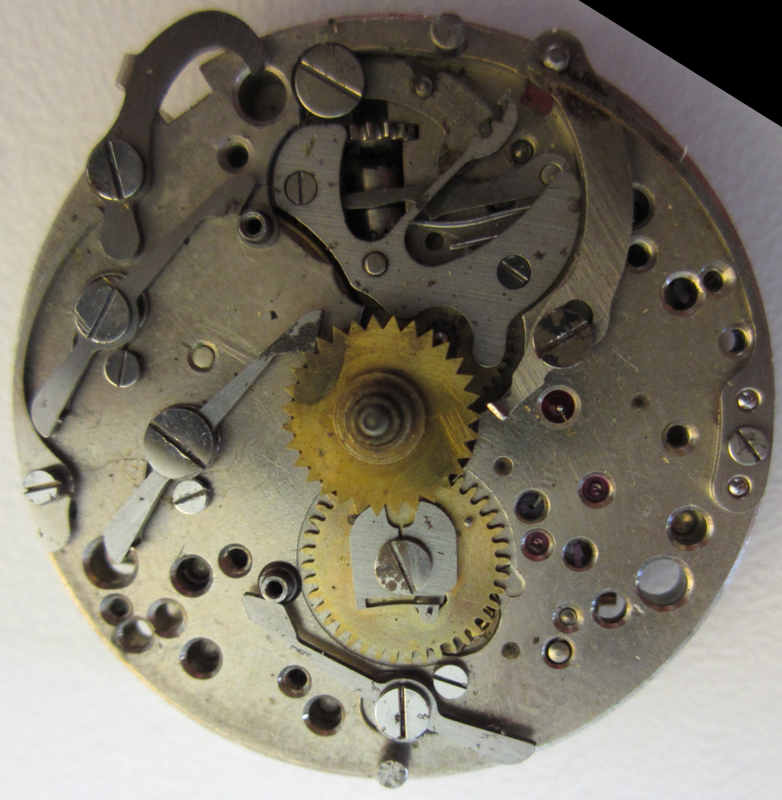 Lemania S27T1 17 jewels, Breguet spiral – Prepared for date feature. Lemania DS27 17 jewels, Breguet spiral – With date feature. Lemania 3000: sub second, 17 jewels, Breguet spiral. Lemania 3010: sub second, 21 jewels, Breguet spiral. Lemania 3040: sub second, 21 jewels, Breguet spiral. 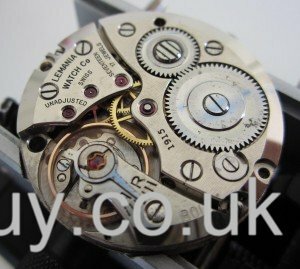 Lemania 3615: Automatic version of caliber 3060, sweep seconds. 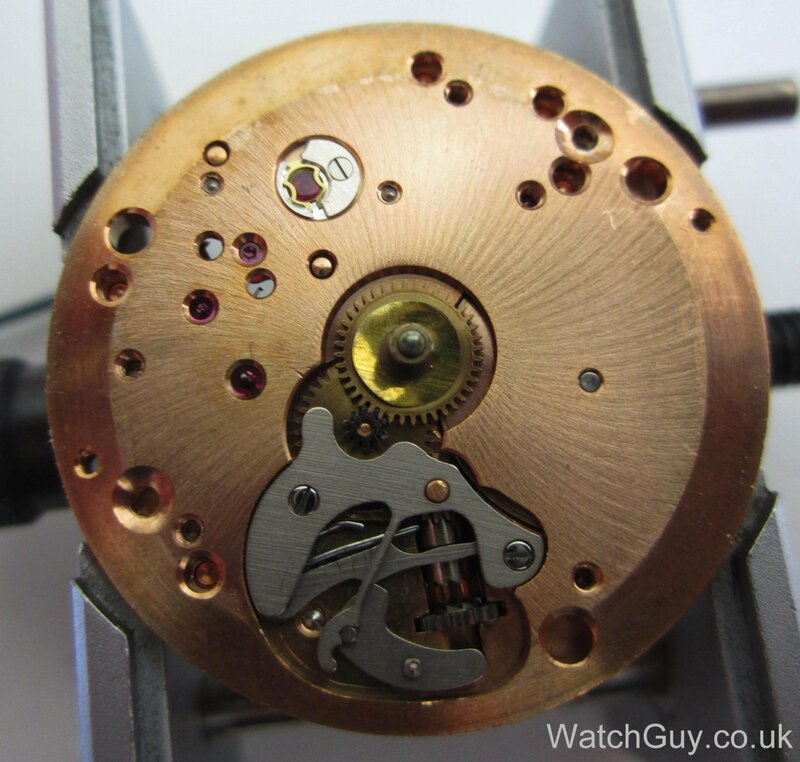 21 jewels, Breguet spiral, Date function. Lemania continued to be a part of the SSHI until the early 1980s when the Quartz crisis forced the restructuring of the company. Lemania was sold out of SSHI as a management buy-out, and renamed Nouvelle Lemania. SSHI later became the Swatch Group. In 1992 Nouvelle Lemania was bought by company Breguet, and in 1999 Breguet was bought by the Swatch group making the full circle! As a part of rebuilding Breguet as a extreme luxury/high-end brand the Swatch group renamed Nouvelle Lemania into Manufacture Breguet. The name Lemania is, for now, no longer in use. Note: The information in this article is based on my own findings and opinions. I am a private collector, and has no commercial interests within the watch industry. Any further information or comments related to the contents of this article is very much appreciated. I have tried to use pictures either from my own camera, or pictures available in the public domain. If anyone is unhappy with the content related to rights of ownership or other issues please do contact me on 69northernman(at)gmail(dot)com. The book “Omega Saga” by Marco Richon (Omega Museum) has been a key source for information. As always Dr. Roland Ranfft webpages (http://www.ranfft.de/cgi-bin/bidfun-db.cgi) is of tremendous value. 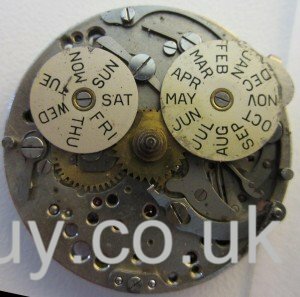 This entry was posted in Swiss, Wrist Watches and tagged 220, 321, 380, 381, CH27, Lemania, Omega by Anders. Bookmark the permalink. What was the difference between the 320 and 321 ? 320 has no hour counter. 321 has a 12 h totaliser. Basically the sub register at the 6’o clock position. Pingback: Lemania gets a new crystal & where to get them in L.A.
My Name is Adan Amaya I’m From Honduras. Central America. Yesterday I found your Page searching Info. about a Watch.. The Omega Cosmic Triple Date moon-phase. I found an old watch in a large box of old thing of my Dad and i get surprise that it works..
so when I try to put the correct time i broke the crown but I want to know if U have it and also the dial it’s so dirty so I will send U some pics of it. I see the work that U do and I want that U Help me to refurbish it and after that to sell it. Firstly, I don’t advise selling your father’s watch, but that is of course a personal decision. I would be more than happy to buy the watch off you. You will be better off selling it in the state it is currently in, as you will get more money than you will get after a restoration (considering the cost of the restoration). Thanks for this very interesting post. Hopefully, this will help to give Lemania some of the credit the brand deserves. An interesting history for sure! The late Chuck Maddox wrote some great articles a few years back. It is well worth reading again and again. In 1962 Nasa boffins took the decision to equip astronauts of its future Gemini program with a accurate and reliable wrist chronograph. NASA performed a number of tests on the watches including, temperature, pressure, vibration, shock and others. 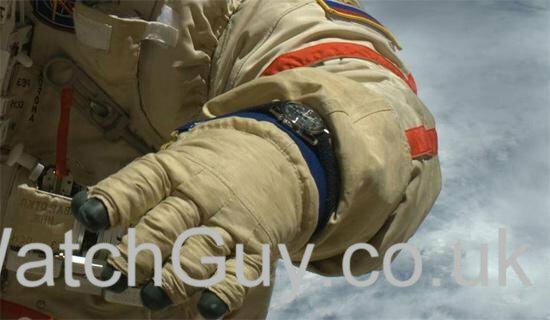 Of the 3 watches the Omega performed the best and was chosen and was worn by astronaut Edward White during the first walk in space by an American in 1965. It was also the first watch on the moon, Strapped to the wrist of Buzz Aldrin (Armstrong’s stayed in the lunar module as a back up timekeeper). The watch was also famously used to time the burn which put the stricken apollo 13 mission back on course for earth after the oxygen leak.